I live and work in Orange, Massachusetts. I make bowls from local wood — cherry, walnut, maple, and birch. I hand-turn them on a lathe. I have been turning bowls, large and small, for about 5 years. I learned my craft on Vashon Island in Washington State, mentored by David, Jim, and Curt. I am a retired public schoolteacher and currently teach yoga part-time. This spring I was part of a feature on Chronicle about the North Quabbin area. My section is toward the end of this segment. I hope to be able to show you my work. Feel free to contact me to set up an appointment or if you have comments or questions. You can also visit the online gallery of my current work. 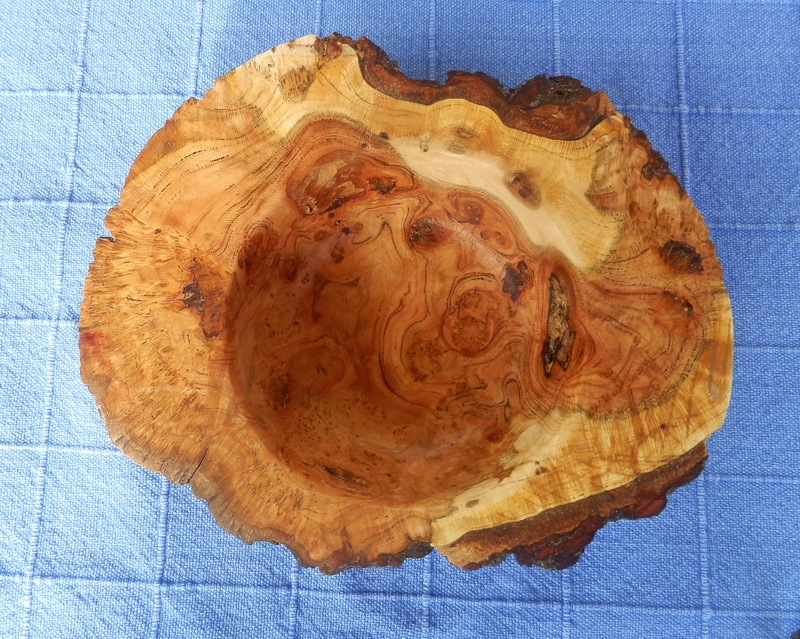 Yellow Birch Burl. Somewhat rare, 12 ” wide. The surgeon fixed my spine and Patrick got his wish, the tree would be transformed, just like me. I searched for cabinet makers and found no one who would immortalize this wonderful tree. Three men showed up one day during my convalescence, wood turners all. 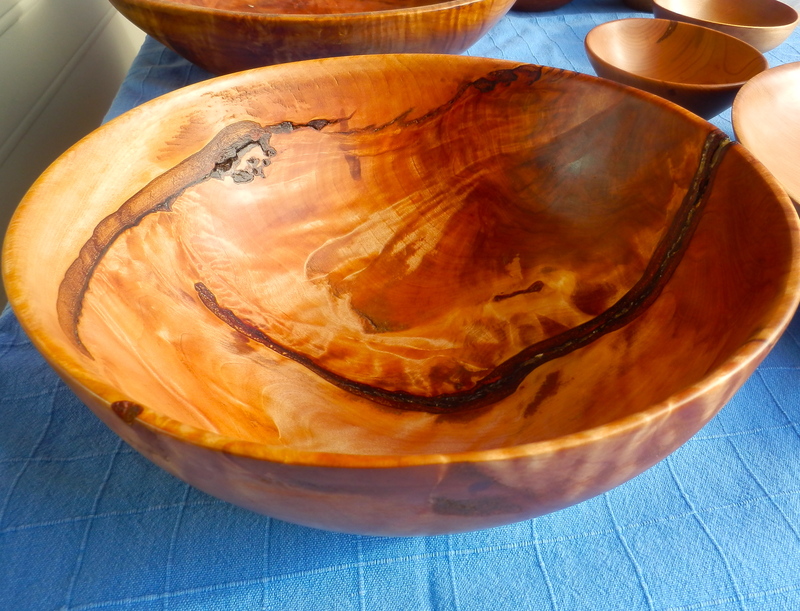 Three men, three different styles,and they welcomed the tree as I now welcome trees to my bowl-making practice. They opened their shops and hearts and teaching to me. That was 5 years ago. 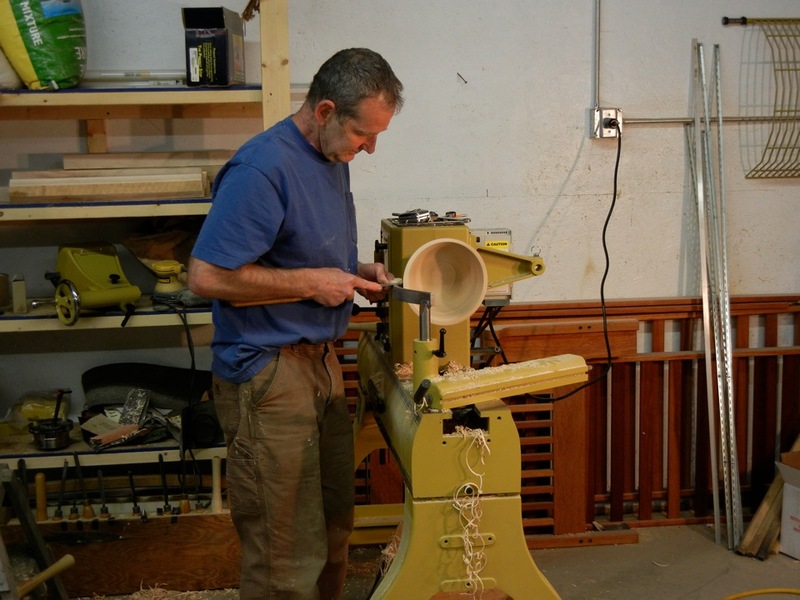 The lathe and the process has given me an appreciation for beauty, form, function and a reason. The shape of a bowl, the use of a bowl, the grain or age of the wood, the finish are all part of being open to what life presents. I continue making myself happy with my process and hope the meditation of movement finds you joyful.